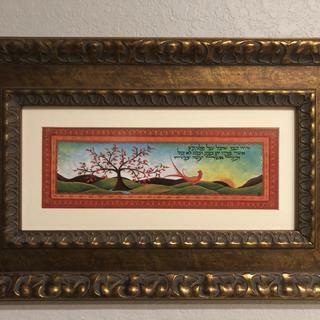 This frame has a beautiful and bold presentation and a focal point in my living room. I was looking for something to emphasize the depth of the art, and I found it with this frame. Looks better than pictured. Delivered as promised. Good quality. The picture online is somewhat deceiving. I thought the curly design on the inside edge and outside edge was flat, like it had been ground down flat. It's not, but it's still very nice and I have no problems with it, just slightly different design than I expected. Value? A little pricey, but again it is good quality and I am happy. This is the fifth frame I have purchased from “picture frames”. 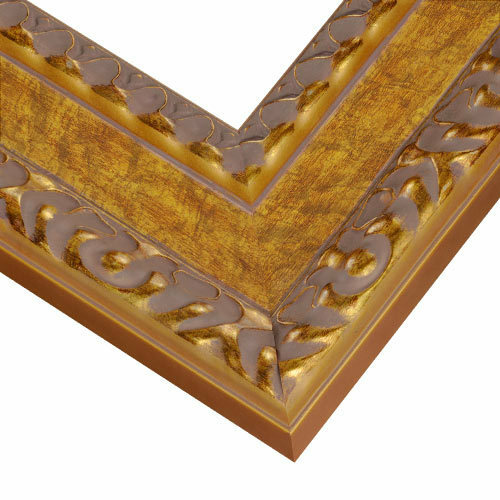 Service has always been prompt, frames are well packaged and well made. I am very pleased with this frame. 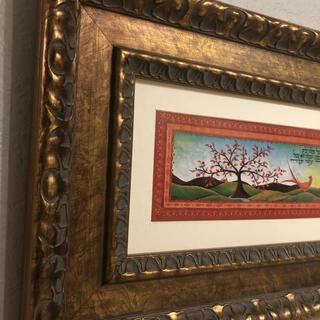 It beautifully compliments the painting. This is a very lovely frame, I am very happy! Great quality..!!! 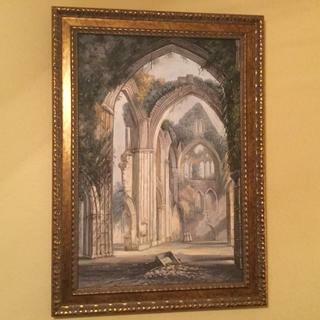 I picked this option because of the value-- it is a wide frame but at a reasonable price. I feel that it is formal yet simple enough to really set off the large family photo I plan to frame. 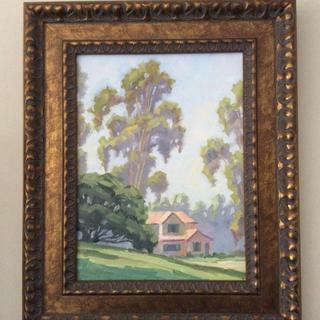 I have a commission for an outside frame dimension of 32"x48" vertical which is somewhat unique for me as I normally paint horizontal landscapes and rarely this size.